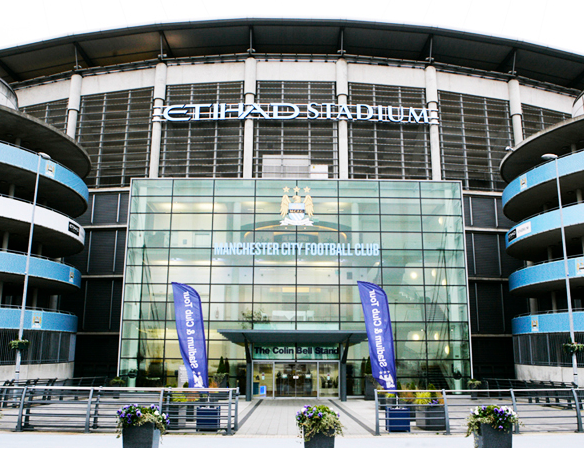 Calling all football fans: Manchester City announce sweet WiFi services for their stadium as EA renew their Fifa deal until 2023! Sports and sporting arenas are becoming more and more involved in technology at the moment. Football, or soccer, fans in England will be treated to the joys of goal-line technology in the English Premier League next season and today the first Premiership team has announced that their stadium will be bathed in WiFi for fans to make the most of during matches! That club will be Manchester City and their Etihad stadium will be the first connected stadium! The work on the new infrastructure will being in the next few weeks and it will be installed before the beginning of the new season in August. The connection will be provided by Cisco and their Connected Stadium Wi-Fi which offers fans fast internet which will allow them to share the atmosphere and their pictures and recordings on their social networks as the match happens! If you were wondering who the internet provider will be then it'll be O2 and they will take the opportunity to improve their mobile phone signal in the stadium too. At the moment there's no word on whether or not the WiFi will be a free or paid service, but we're not sure how much use it would get if it cost you extra money to use, perhaps the club would be better off factoring the cost into the price of tickets. We have the feeling that the service will be a paid service as Manchester City are looking to offer a new service called StadiumVision Mobile, which will give you access to live and instant replays of the action, as well as offering stats and info on your device while the match is happening! There will also be additional views of the action from around in the stadium and an area for competitions and games in the service, which will tie in very nicely with the half time entertainment we expect! "As a Club that is passionate about innovation and prides itself on constantly looking for ways to enhance our supporters' experience at the Etihad Stadium, we feel we have found the perfect solution with O2 and Cisco... Live games and concerts are highly enjoyable social events and we are delighted to be able to offer supporters a system that allows them to better utilise their own mobile devices when at the Stadium." That's a great way to get involved while you're at the stadium, but for those of you who can't get enough of your footie and want to have a go at management from the comfort of your own bedroom then you'll be pleased to know that EA have renewed their license with Fifa and they will be making the series of games all the way through to Fifa 23 at the very least! Via PocketLint (1) and (2).